Sneak Peek of “Motownphilly” and “End Of The Road” Performances Available Now. 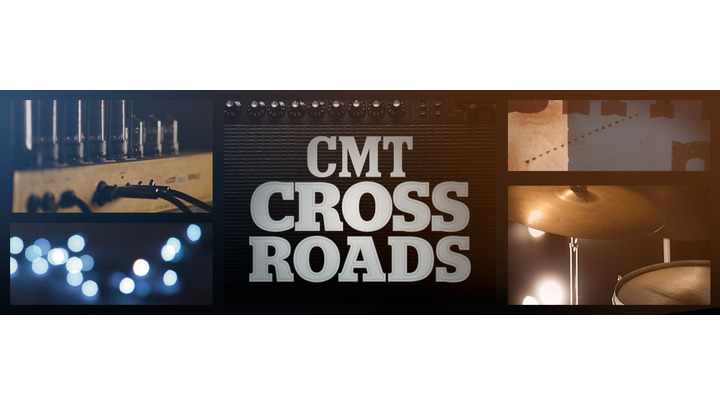 NASHVILLE – March 25, 2019 – GRAMMY-winning group Boyz II Men joins multi-PLATINUM selling artist Brett Young for an all-new episode of “CMT Crossroads” airing Wednesday, March 27 at 10pm ET/PT. The news comes on the heels of strong growth as CMT recently notched eight consecutive quarters of year-over-year ratings and share growth in extended Prime among Adults 18-49. The one-hour show features the artists collaborating on each other’s hits including Brett Young’s “In Case You Didn’t Know,” “Mercy,” “Here Tonight” and “Catch”; and Boyz II Men’s “Motownphilly,” “Water Runs Dry,” “I’ll Make Love To You” and “End Of The Road.” Performance photos from the show can be downloaded here. Boyz II Men remains one of the most truly iconic R&B groups in music history. The group redefined popular R&B and continues to create timeless hits that appeal to fans across all generations. The group's four Grammy Awards are just the tip of the iceberg: throughout their 27-year career, Boyz II Men have also won a whopping nine American Music Awards, nine Soul Train Awards, three Billboard Awards, and a 2011 MOBO Award for Outstanding Contribution to Music. The group received a star on the Hollywood Walk of Fame in 2012 and a Casino Entertainment Award for their acclaimed residency at the Mirage Resort and Casino in Las Vegas, which has been ongoing since 2013. The trio holds the distinction of being the best-selling R&B group of all time, having sold more than 64 million albums worldwide. Last year the group opened for Bruno Mars’ 24K Magic World Tour in cities in the U.S. Boyz II Men will be featured in the upcoming comedy with Seth Rogen and Charlize Theron called "Long Shot" which hits theaters on May 3rd. They continue to tour around the world. For more information and updates on Boyz II Men go to www.boyziimen.com. ACM New Male Vocalist of the Year Brett Young’s sophomore release TICKET TO L.A. (BMLG Records) debuted atop the Billboard Country Albums chart and features his current Top 5 single “Here Tonight.” The album follows his PLATINUM self-titled debut, which dominated the Top 20 on the Country Albums chart for 37 weeks. Delivering four consecutive No. 1 PLATINUM-certified hits, Young was named ASCAP’s 2018 Country Songwriter-Artist of the Year for his “melodic craftsmanship” (Billboard). He has also garnered nominations from ACM, Billboard, Teen Choice, CMT and CMA Awards as he continues to rack up nonstop hits as “one of country music’s most reliable new hitmakers” (Tennessean). Young has amassed more than 1.4 billion streams of his catalog globally. Following his current headlining dates, Young is set to join Kelsea Ballerini on the MISS ME MORE TOUR. He will also perform at multiple festivals throughout summer including stops at LakeShake in Chicago, IL on June 22 and Faster Horses in Brooklyn, MI on July 19. For additional information, visit BrettYoungMusic.com.